My point is, as soon as you step onto the road of creative writing—whether you’re penning a book, an article for a magazine, or a post for a blog—you consent to a series of rejections. And it hurts. Studies have shown that when we get socially or professionally rejected, the rejection activates exactly the same areas of our brain that physical pain does. Rejection literally hurts. So why would I relish this feeling? Okay, I don’t really “relish” it, but I know that the pain will pass and a lasting lesson will stay with me. These lessons, accumulated over a series of rough rejections, are the keys to securing a long-sought-after acceptance. But before we get to how we can distill wisdom from the “no’s,” let’s address the emotional instinct. When you receive a rejection and you suffer. You wonder what it says about you as an author, a professional, a human being. Still, you’re likely to experience frustration—and maybe more. That’s okay. Don’t keep your feelings inside. Cry them out. Bang the chairs. Punch some walls. Yell some insults. Grieve a little over this misfortune. As long as you keep your downtime reasonable, living through the disappointment is just a part of life. I recommend getting your mind off the rejection. Indulge in a computer game session, e-shopping, or redecorate your room. Really, do anything that lifts your spirits and reminds you that there is more to life than editors with red pens. As you process the rejection, remember that your grieving is normal. Give yourself two or three days to let go of the emotional responses, then come back to the writing desk. It’s trite what they say, but true: This, too, shall pass. When it does, return to your rejection letter with fresh objectivity. What made the editor say “no”? Wrong timing. They just accepted a similar story from another author. Or, the queue is full. Too expensive to publish. The publisher can’t bear the investments required for printing or promoting your work. Bad sales of other similar titles. If the marketing department says, “no more love stories,” they just won’t take love stories. Wrong genre. They recently published something in the same genre and it failed—and now your book suffers the consequences. Or, you misjudged the publisher and sent a book of the wrong genre. Subjectivism. We’d all like to think that editors strip off all of their biases and personal views when reviewing books, but unfortunately, that’s not the case. A negative bias towards your thesis or one of your characters can be the nail in the coffin. Human factor. It’s always possible that the review committee, editor, or publisher was just having a bad day. Your writing doesn’t meet publisher standards. This can be avoided, of course. Hire an editor to go through several chapters and look for poor grammar, spelling mistakes, bland characters, and flat plot. Also, make sure your formatting meets with publisher expectations. Take a day (or two) and review these rejection reasons. If you have enough information to conclude that one or more of them is at the root of your “no,” you have some valuable information to work with—and can tailor future submissions accordingly. Often, however, the editor gives you precious little to go on (especially if you’ve been handed a form letter). Persistence, however, is the better part of literary success. Sometimes, you’ll get a direct contact from your letter which will give you an opportunity to reach out to an individual, not a monolithic publisher. Take the opportunity to write back and ask for specifics about the rejection letter. 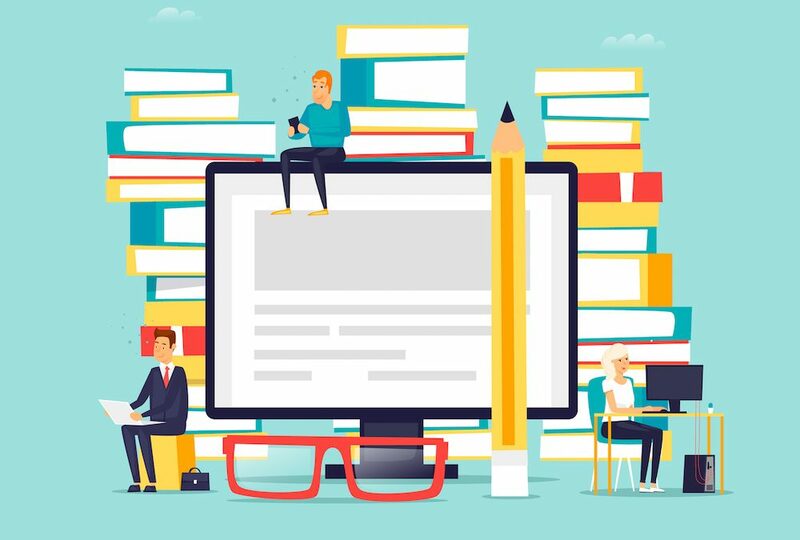 Make it known that you thoughtfully considered their rejection, but still want to know how you can improve your article/post/book to make it a solid candidate for publishing. Make it easy for them to respond—by crafting questions that YOU want answered about your work that can also be addressed quickly. Editors read hundreds and hundreds of manuscripts, so make your questions short and to the point. When you put in the effort to make changes to your work based on your consideration for the bulleted items above and any responses to your questions from editors, you’ll have much better luck on your second round of submissions. Abandon the whole thing. This is ruthless to you and to your writing. Take a look at it again. Unless it’s truly awful, don’t ditch everything. You can almost always salvage SOMETHING. Re-write and submit to another publisher. Use all of the constructive feedback you can get to re-work the weakest parts of your manuscript. Be careful, though—only fix it if you agree it’s broken. Don’t try to please everyone; this is YOUR work after all. Self-publish. With the rise of self-publishing platforms (like Amazon Kindle), this option is more accessible than ever. However, there are certain difficulties (taxes, multi-national publishing, etc.) and extra work (formatting, graphic design, etc.) is often required. At the end of the day, what is the best guarantee of your book or article getting published? Submitting, submitting, submitting. Never stop. Make a habit of sending out 10 queries weekly or every other week and be persistent. Sooner or later you will get a “yes”—and your writing will get a heck of a lot better in the process. At the end of the day, an author is more than just someone who assembles words in a tightly-knit plot line. An author listens, digests, and applies new wisdom and knowledge to his or her craft. They absorb criticism and use it to make their work shine. And as a result of the many “no’s” they endure, their success is assured—because they have grown as people and as writers. Take that to heart the next time you submit your work. In his seminal book, “The Perfect Day Formula,” talks a lot about his failures as a business man—including the road to publishing. But he got past it, and eventually published in countless top-rated titles, like Inc.com, Forbes, Men’s Fitness, and other outlets. Now, he’s working on his second book. Want to know how he tackled the criticism and turned his whole life into a story of success? 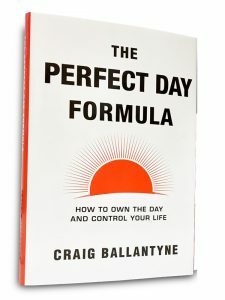 Get your FREE copy of “The Perfect Day Formula” to find out. Samantha Engman is a proficient digital copywriter. After 10 years in marketing, she grew a strong commitment to the content creation and brand journalism for aspiring businesses. Check out the useful tips Sam shares on her Twitter account.